A group of my friends and I have started a monthly get together where we try new cuisines. Last month was Dim Sum. We had tasty dumplings of conch, lamb, mushroom curry, and pearl balls. I made these spicy pickles to go along side. They were crispy, delicious, and packed a flavor punch. They were good with the dumplings but would be good alone, on a pickle tray, or with a refreshing light beer. On the stove, bring a pot of water to a boil. 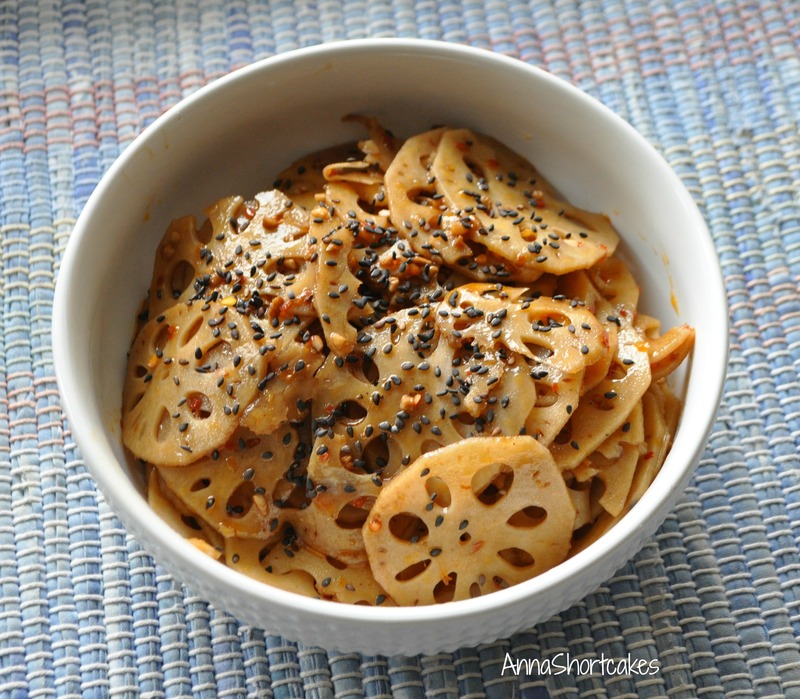 Peel the lotus root and slice thinly. I used a mandolin to get evenly thin slices. Add the lotus root to the boiling water and boil for 2 minutes. This helps remove the starchy, earthy taste. Drain in a colander. In a skillet, combine 1 tbsp of neutral oil with the garlic and chili flakes and saute very gently for 2 minutes. Add the soy sauce, vinegar, sugar, sesame oil, and chili oil and warm through. Add the lotus root and toss to coat. Serve warm as an appetizer or chilled as a snack. I rarely have every ingredient listed in a recipe. Maybe because I don’t cook “typical” recipes. Or because I am not a good shopper. I don’t know. 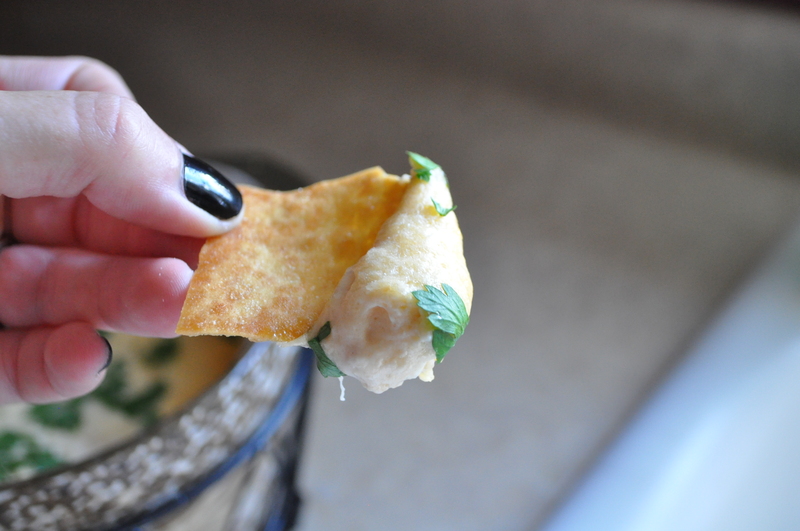 Just this once, though, I had every single ingredient for this tasty dip. 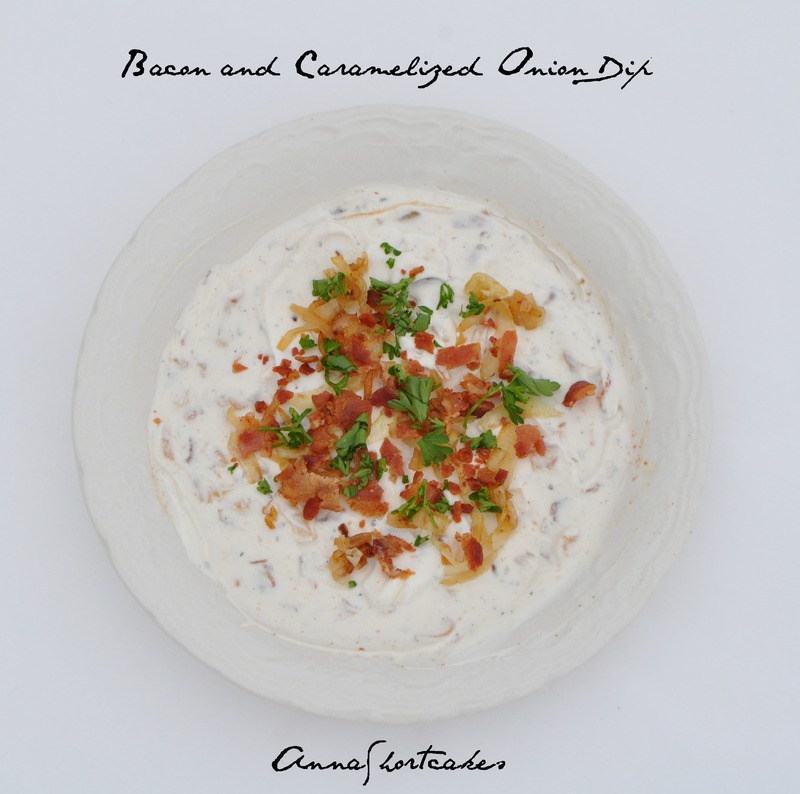 It has a delicious tang from the yogurt, a mellowness from the caramelized onions, and a punch of flavor from the bacon. 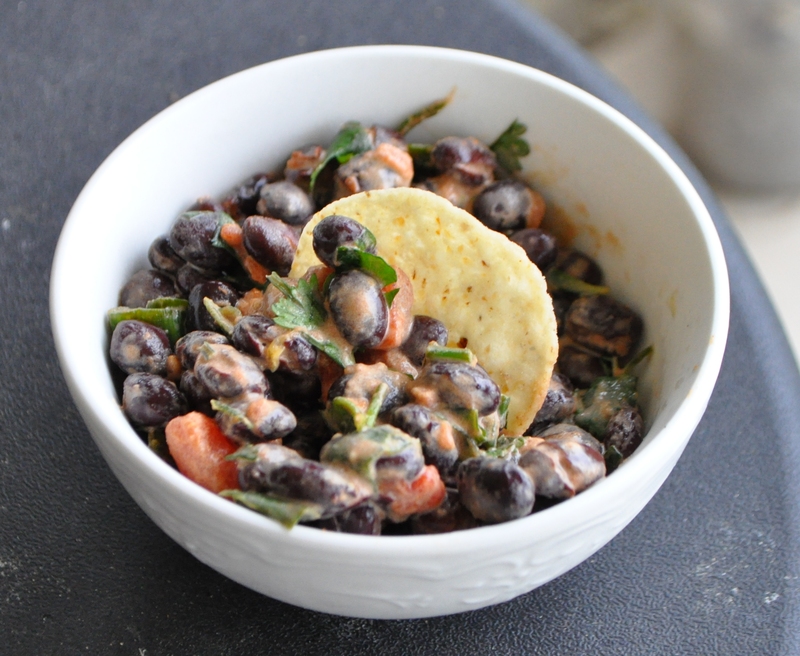 Use pita chips, Ruffles (my favorite dip chip), or vegetables to scoop up the deliciousness. In a large skillet, cook the bacon until crispy. Remove and drain on a paper towel. Finely chop. Drain all but 3 tablespoons of bacon grease from the pan. 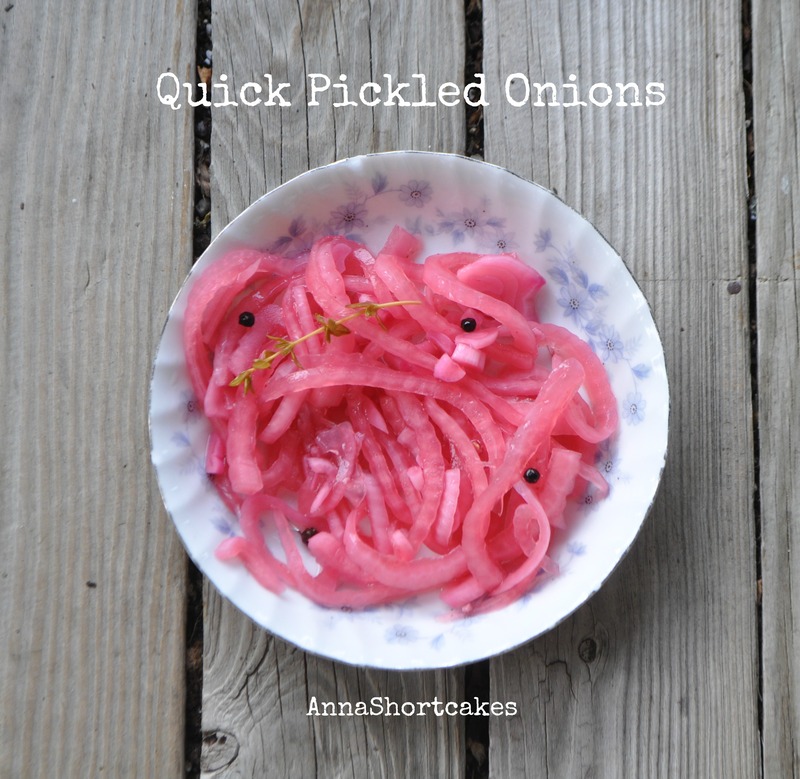 Slice the onion in half at the roots, then slice thinly (so you have half moon slices). Saute the onion over medium heat in the bacon grease. Stir frequently and cook until onions begin to soften. Turn the heat down to medium low and add the sugar to the onions. Continue sauteing until the onions are caramelized. Remove from heat and cool. In a bowl, combine all the ingredients. Taste and adjust seasoning as necessary Store in the fridge for up to a week. A variation of a recipe from The Girl in the Little Red Kitchen. My husband’s first cousin April brought this dish to a family get together. It was inhaled. Since getting the recipe, I have made it four or five times. It is tasty, reasonably healthy, and easy to throw together. I love that I usually have the majority of the ingredients in the cabinet. 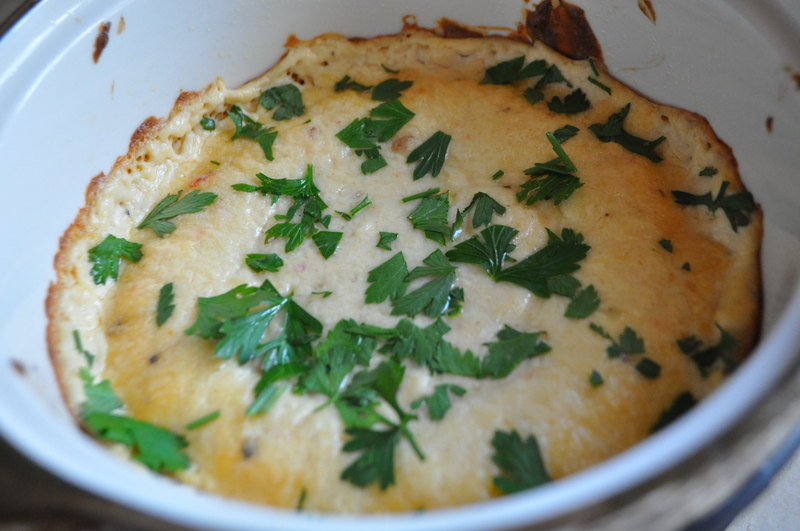 Everyone who has tried this dip has asked for the recipe. It would be even better with fresh tomatoes. If it doesn’t stop raining, we will never have any though…. We have had 3 inches already with another one or two to come. My poor plants are drowning… When it rains, it pours, I guess. Mix all the ingredients together well and refrigerate for at least 4 hours. This lets the flavors really meld. I prefer to let it sit all night. Serve with tortilla chips, as a salsa on tacos or fajitas or just eat it with a spoon. This recipe is almost as quick as popping a bag into the microwave and the result is WAY more impressive than that highly processed crap. Maybe you can pop up a big bowl, snuggle on the couch with the one you love, and watch a good movie or play Scrabble. Happy Weekend!!! 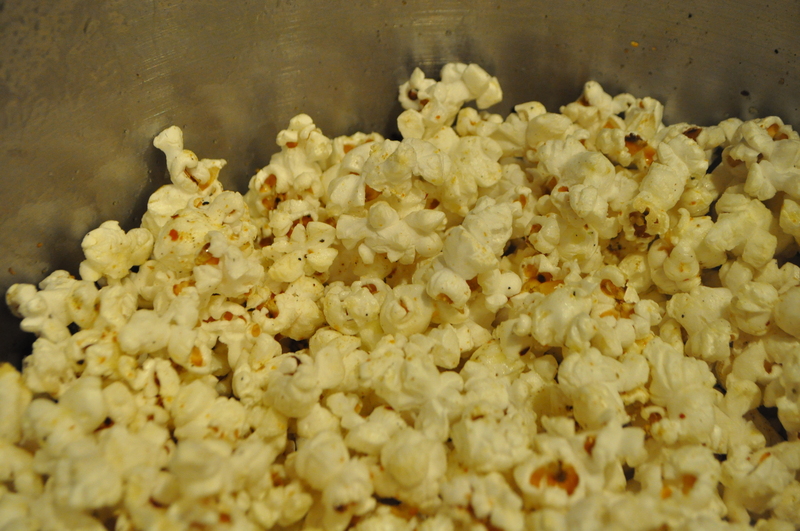 In a heavy bottom pot with a lid, combine the olive oil and popcorn kernels. Place on the lid and heat over medium high heat. As the oil heats and the kernels brown, they will begin to pop. Every couple of seconds, heartily shake the pot so that the unpopped kernels settle to the bottom of the pan. When most of the popping stops, remove the pan from the heat. Pour the butter over the popcorn evenly. Sprinkle with the Parmesan cheese, salt and pepper. Enjoy! I love granola. There are so many different flavor combos. These are very tasty and easy to make. You can crumble them into yogurt or eat them plain. Bonus- they are way cheaper to make than to buy! Preheat oven to 325 degrees. Combine the oats and oil in a bowl. Spread the oats in an even layer on a baking sheet lined and toast for about 20 minutes. Stir at the ten minute mark. When lightly toasted, remove from the oven. In another bowl, combine the oats, coconut, spices, salt and nuts. Combine the honey and vanilla in a medium saucepan. Bring to a boil then simmer for 5 minutes. Pour over the oats and stir to coat evenly. Turn the oven down to 300 degrees. Line a 9×13 inch glass pan with parchment. Spread the granola in an even layer. Use a heavy object to press the granola down. This will help make it denser. Bake until just golden, about 25 minutes. Allow to cool completely before cutting into rectangles. 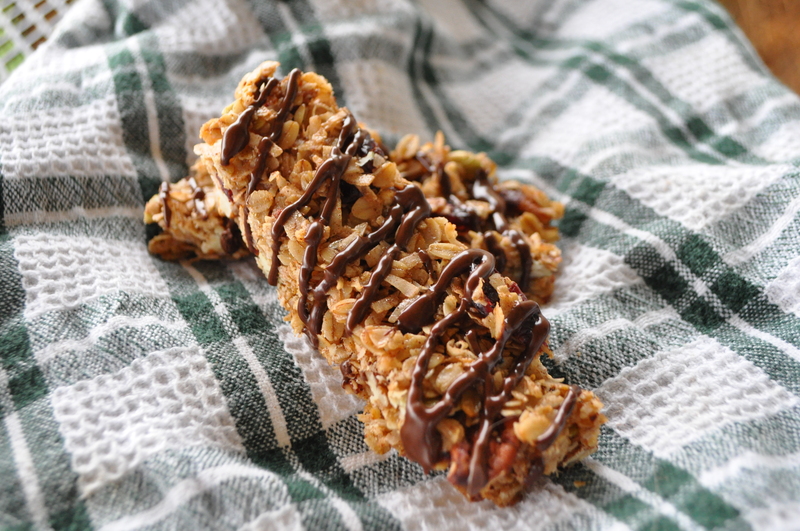 In a small saucepan, melt some semi-sweet chocolate and drizzle over the granola bars. Allow the chocolate to hard then store the bars in an airtight container. Who doesn’t love beer cheese? In this part of the country, beer cheese is typically made from cold packed cheddar cheese. Everyone has their own secret recipe. Asking someone to share is like asking for the President to hand over state secrets. Though this is not the traditional beer cheese, it is just as tasty. The Beeroness has some really cool recipes in addition to this one, so I suggest you check them out! Roast garlic for 30 minutes. Remove from oven and allow to cool. Preheat oven to 350 degrees. In a food processor, add cream cheese, parmesan, gouda, beer, red chili sauce, salt, pepper and corn starch. Squeeze the roasted heads of garlic until the soft cloves comes out, add the roasted cloves to the food processor. Pulse until ingredients are well combined. Add to a baking dish, top with the remaining 1/4 cup cheese. Bake until melted and the top has started to turn a light golden brown. Remove from oven and garnish with parsley. Serve with pita chips. A quick little snack for your cocktail hour. Or in my case, a snack to make the work hours more bearable. Preheat oven to 350 degrees. 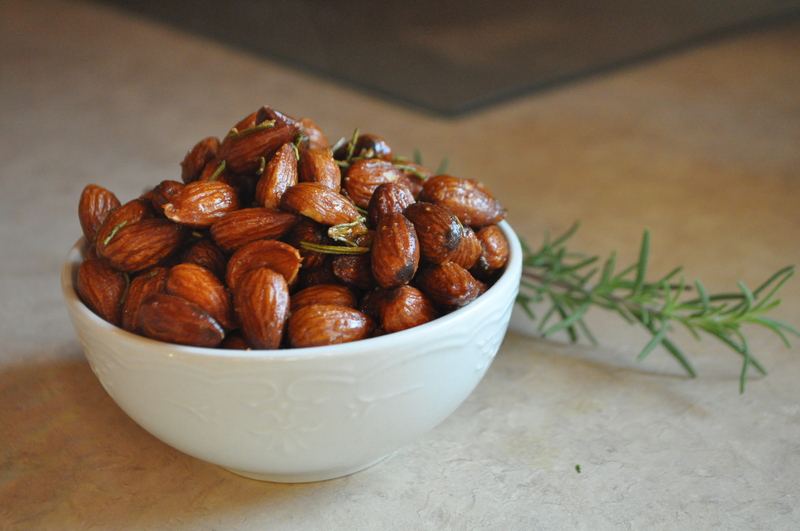 Place the minced rosemary, cayenne, salt, and nuts in a large bowl. In a small bowl, melt the butter and the sugar together. Pour the butter over the nuts. Toss well to coat. Spread the nuts in an even layer on a large baking sheet and warm them in the oven for 5 minutes, stirring halfway through baking time. I love anything savory and salty. I love popcorn. So it makes sense that I would love togarashi popcorn. You will too! Melt butter in a small saucepan over medium heat. Add garlic; stir 1 minute. Remove from heat. Cover; keep warm. Heat kernels and both oils in a large covered pot over medium-high heat; cook until almost all kernels have popped. Transfer popcorn to a large bowl. 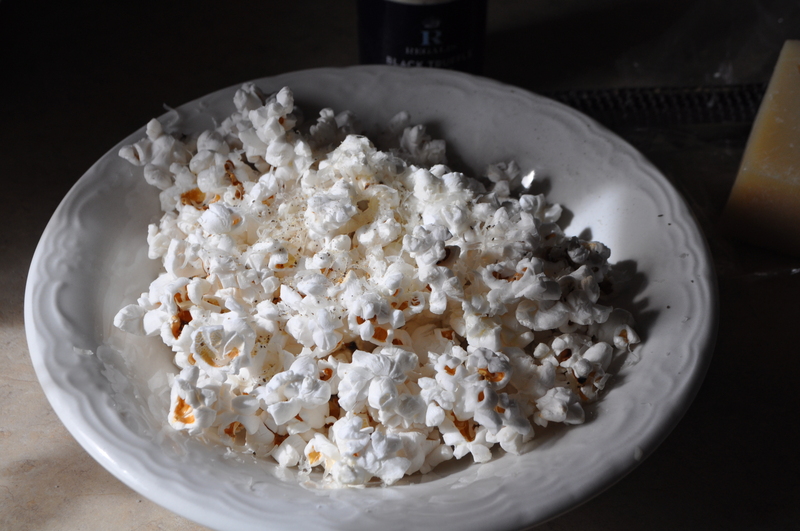 Drizzle garlic butter over popcorn; toss to coat. Sprinkle togarashi over; toss again.